Need the little touches that will make your big day even more memorable? The September Issue features our top picks this month. These gorgeous products are sure to add that extra personal touch to your day. 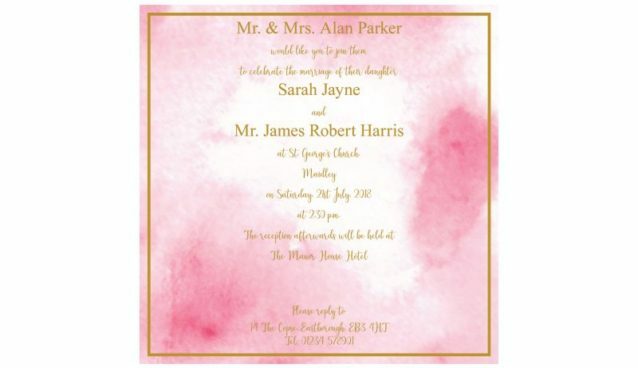 Watercolours have been a long standing trend in wedding stationery and it doesn’t look set to slow down any time soon! This simple but stunning invitation is sure to impress and give a lovely first impression of your wedding day. This stunning wedding invitation lets your guests open the invitation from a little pocket. 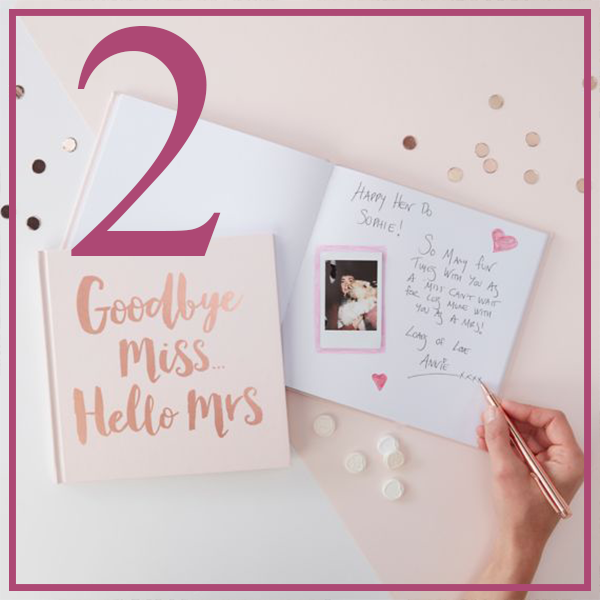 Not only does the pocket protect the gorgeous invitation inside, it also gives your guests the excitement of opening it to find the gift of love inside! A simple design with a twist! 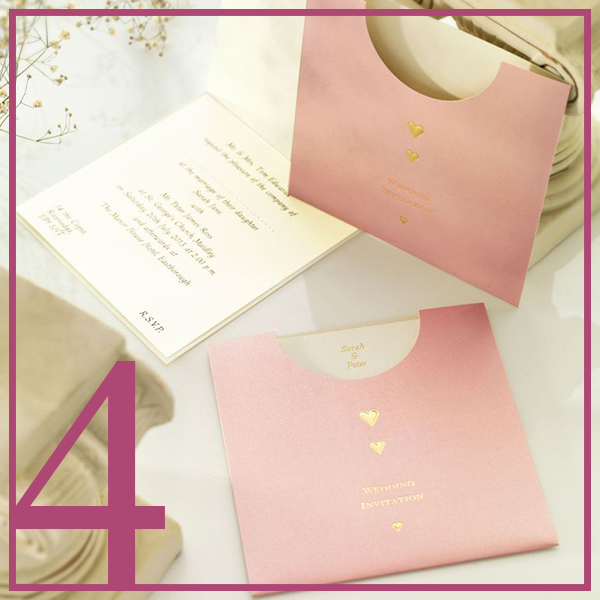 The pocket has a white card insert which features your names in gold foil, open up to reveal your wording details. 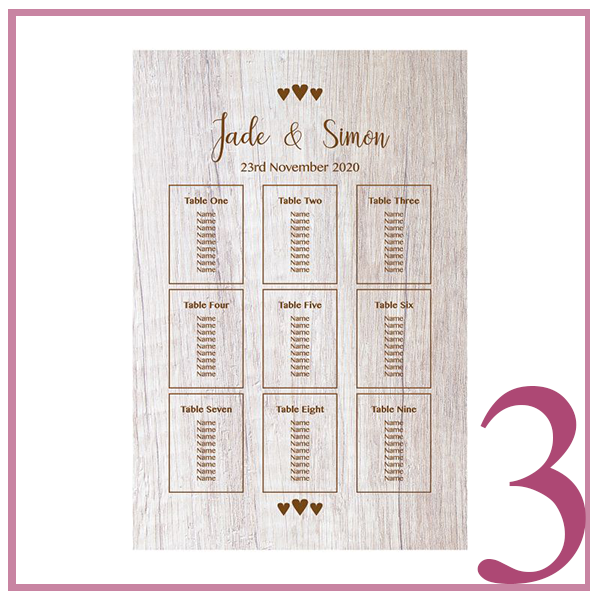 Your guest names sit withing three romantic hearts on this Sandy Toes wedding table plan. All our table plans can be adjusted to your specific needs and are proofed by email free of charge. This design is supplied with free table cards. These are the wedding favours to tie to favour boxes, knives and forks as napkins or to jars, the uses are endless! 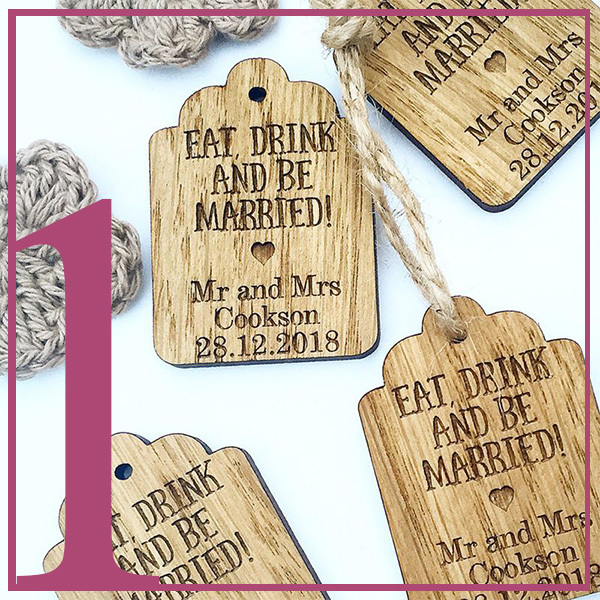 These beautiful favours make for a wonderful personalised gift and favour for your wedding guests. Looking for more wedding inspiration? Discover the Bride & Groom Direct Pinterest boards. We are sure you’ll find the must-have pieces for your special day here.